The new digital signs will show how long it will take drivers to get to certain locations and expected delays using data collected anonymously from mobile devices according to the MDOT. Maine summers are synonymous with beaches, lobster bakes, camping and of course, traffic. 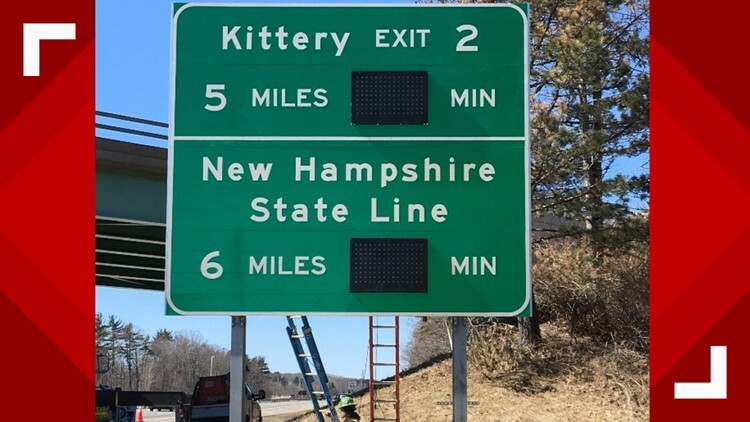 Ahead of tourists pouring onto Maine highways, the Department of Transportation and the Maine Turnpike Authority are installing ten new signs along Interstate 95 and 295 that they say will help drivers. The new digital signs will show how long to get to certain locations and expected delays using data collected anonymously from mobile devices according to the MDOT spokesman Paul Merrill. Merrill says the signs will help travelers make good decisions based on real-time data and is part of a national trend to improve safety and mobility. Many travel and navigation apps such as Google Maps and Waze also provide real-time delays and alternate routes for drivers. Ten new signs along I-295 and I-95 will show how long to get to certain places ahead of summer travel. 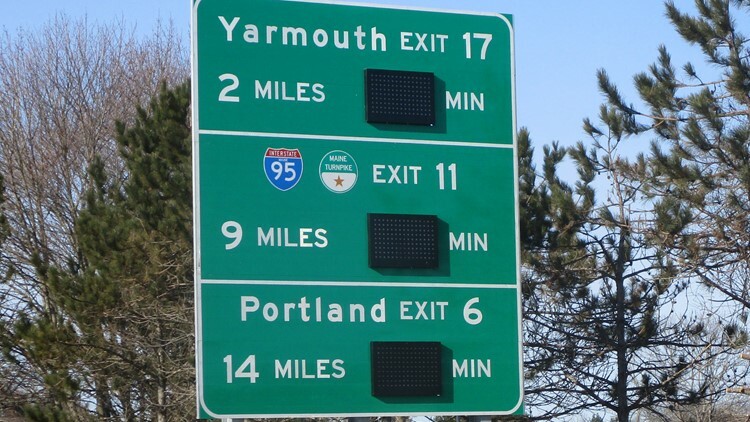 Signs on I-95 in York and Wells along with four on I-295 in Falmouth, Yarmouth, Freeport, and Topsham will show miles and minutes to get to certain destinations. 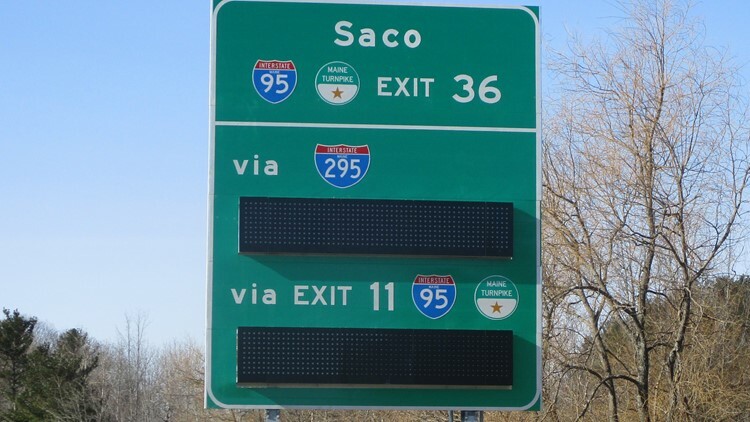 Signs on I-95 in Saco, Scarborough, and Farmingdale and one on I-295 in Cumberland will show expected delays. A business from Halifax, Massachusetts, Liddell Brothers Inc., is working to finish installing the signs and test them. There is a thirty day testing period after the signs are installed and before they go live. Merrill says DOT hopes they will be ready before Memorial Day but most likely they will be active in June. One of the signs will be installed Wednesday at mile marker 6 in York on I-95.